Wiha Tools recently introduced the new BiCut Super Cutter. These innovative diagonal cutters feature a “Power” button that when pressed doubles your effective cutting potential. These 8″ (200mm) OAL cutters having a low force & high force cutting capacity that allow you to cut wire, nails, and chain with just one tool. 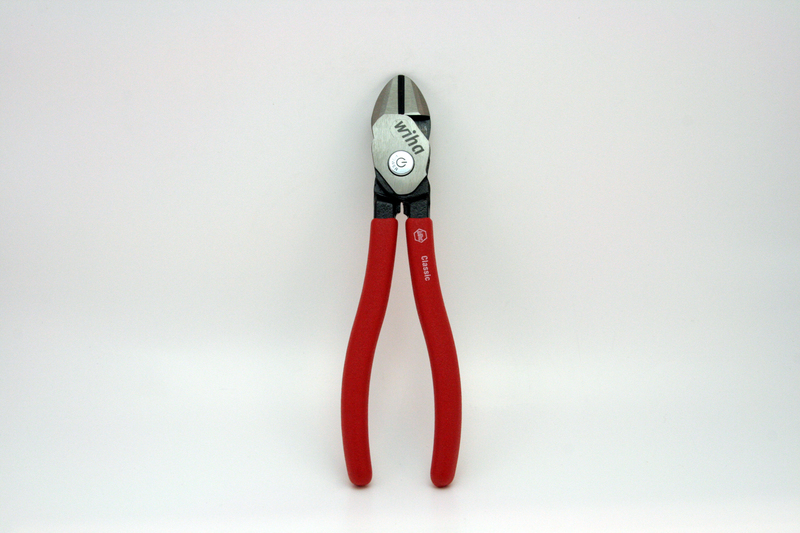 These BiCut Super Cutters are made from Wiha’s patented C70 tool steel and have a 64 HRC edge hardness rating. Currently they are available with the comfortable vinyl grip handle seen in the picture above. As you can seen in the video, it appears that there are a couple of other handle options in the works (Industrial SoftFinish and Insulated) but I have not received confirmation as to when they will be available in the States — stay tuned! The Wiha 32636 BiCutters currently list for $39.98, KC Tool has them available here for $33.98 each. The Wiha BiCut Super Cutters are packaged by Wiha USA, forged & assembled by Wiha Vietnam, and designed to DIN/ISO specifications by Wiha Germany. All Remaining Wiha Stainless Screwdrivers 50% Off!